(((Els))) it is truly the most beautiful and powerful talisman I have held in this lifetime! I find it so interesting how objects hold and share energy and that often, we somehow ‘know’ a piece deeply. I am so happy that it is with you and that it continues to share love and peace and understanding! (((Fiona))) the Mother Talisman holds the dream so beautifully, it’s an honour to have her here! 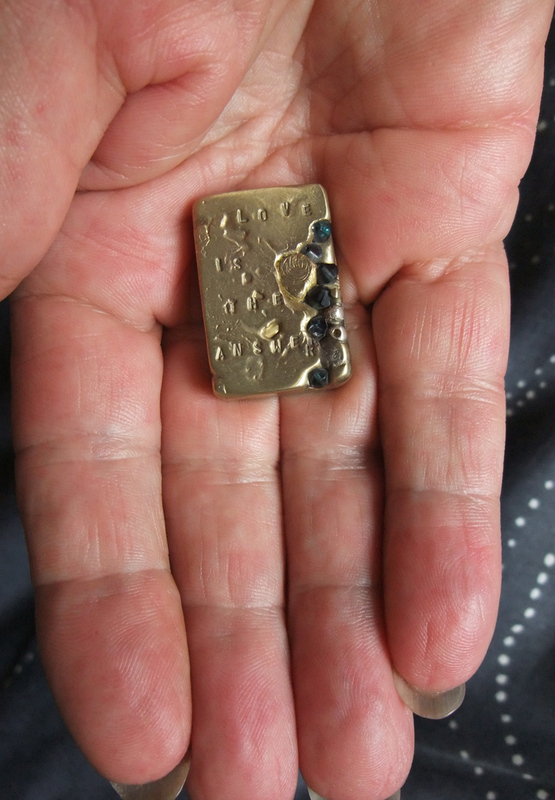 (((Barry))) your Mother Talisman is the most powerful talisman I have held in this lifetime, you make such good magic! I can see the weight of it here in your hand, yes? It looks heavy for its size? What are the inclusions?